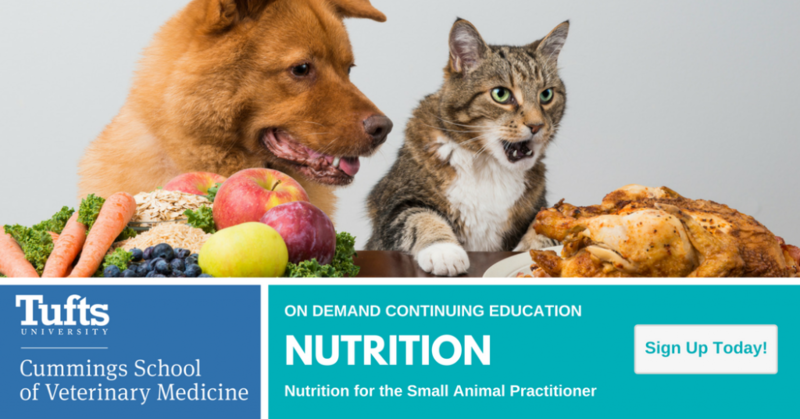 Nutrition for the Small Animal Practitioner is a series of four recorded webinars recorded in October 2013. Lisa M. Freeman (DVM, PhD, DACVN) a professor in the Department of Clinical Sciences at the Cummings School of Veterinary Medicine, is the course director. Dr. Lisa Freeman heads the Nutrition Service at the Cummings School of Veterinary Medicine. Dr. Freeman earned a bachelor’s from Tufts University, a DVM from the Cummings School, and a PhD in nutrition from the Gerald J. and Dorothy R. Friedman School of Nutrition Science and Policy. She is board certified by the American College of Veterinary Nutrition and currently is a Professor in the Department of Clinical Sciences. She is very active in teaching and her research focus is on nutritional modulation of heart disease and critical care nutrition. Dr. Freeman teaches in all four years of the veterinary curriculum at the Cummings School. Only about one-third of veterinary schools have a board-certified nutritionist on their faculty, and Dr. Freeman’s courses allow the school to offer its students more training in nutrition than most of its peer institutions. Dr. Freeman currently heads the Cummings School’s Accelerated Clinical Excellence (ACE) Program, the Residents’ Enhanced Veterinary Education and Academic Learning (REVEAL) Program, and serves as the faculty advisor for its Paws for People effort. As a veterinary nutritionist, Dr. Cailin Heinze strives to optimize the nutritional needs of animals hospitalized at the Cummings School’s on-campus hospitals, the Foster Hospital for Small Animals, Tufts Wildlife Clinic, and the Hospital for Large Animals. As one of Tufts’ two veterinary faculty who serve as Diplomates of the American College of Veterinary Nutrition, Dr. Heinze helps to deliver the service, academic mentoring and research that comprise the nutrition service at the Foster Hospital. Dr. Heinze is a 2004 graduate of the University of Pennsylvania School of Veterinary Medicine. After veterinary school, she worked in private practice for three years before pursuing a residency in clinical nutrition at the University of California, Davis from 2007–2009. Dr. Heinze earned a Master’s degree in Nutritional Biology at UC Davis in December 2010. She is board-certified in nutrition by the American College of Veterinary Nutrition and is currently an Assistant Professor of Nutrition at the Cummings School of Veterinary Medicine. Her professional and research interests include canine and feline obesity, nutritional management of renal disease, and long chain fatty acids. Dr. Deborah Linder is a 2009 graduate of the Tufts Cummings School of Veterinary Medicine. After veterinary school, she completed a one year internship before returning to the Cummings School to complete a residency in clinical nutrition. 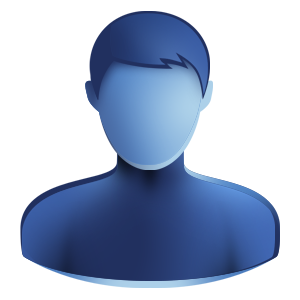 She is board-certified in nutrition by the American College of Veterinary Nutrition. Dr.Linder’s interests include obesity management and effective client education. Dr.Linder has focused her research on safe and effective weight loss strategies for pets as well as how human-animal interaction affects health and wellness. As the head of the Tufts Obesity Clinic for Animals, she works to help overweight animals live longer and healthier lives. Dr. Jessie Markovich is a 2008 graduate of the Ross University School of Veterinary Medicine. After veterinary school she completed a rotating internship in small animal medicine and surgery at VCA Animal Referral and Emergency Center of Arizona and a residency in small animal internal medicine at the Tufts Cummings School of Veterinary Medicine. She is board-certified by the American College of Veterinary Internal Medicine and is currently completing a residency in clinical nutrition. Dr. Markovich’s interests include feline medicine and kidney disease, as well as the nutritional management of urinary diseases.